A wedding can be designed in a variety of ways, but it’s never wrong to have the most beautiful surroundings. 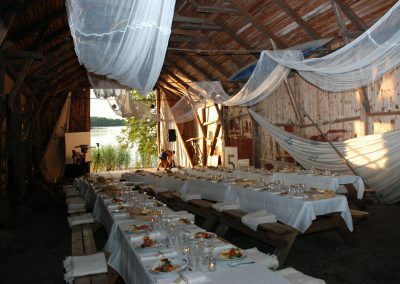 At Finnhamn we offer spring and late summer / autumn weddings or why not a magical winter wedding? 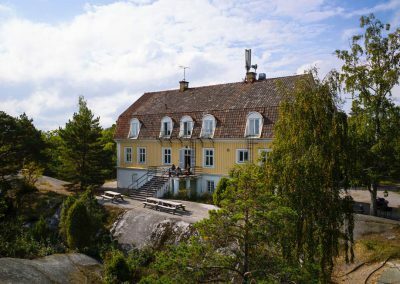 Finnhamn offers several different solutions for your wedding and after party. 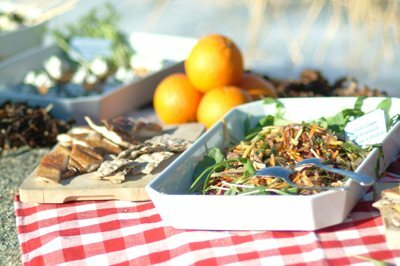 Food and drink, entertainment, flowers, staff and travel to Finnhamn. Then you can rent both the old boathouse and the hostel. 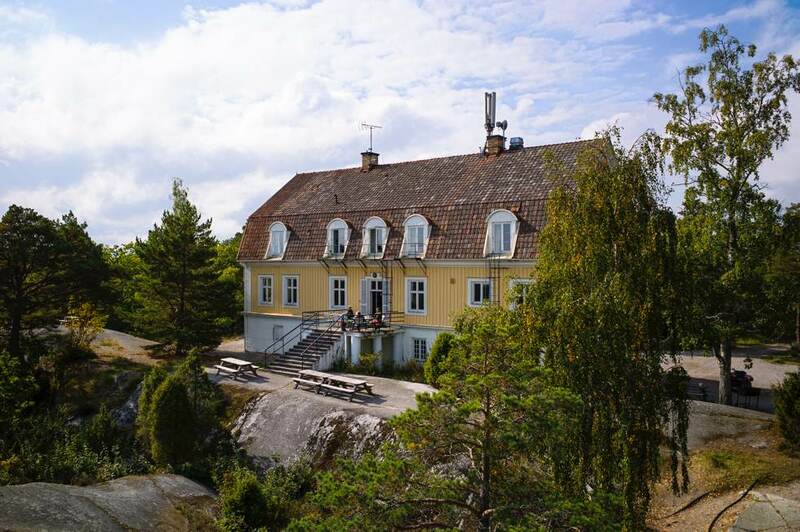 Rent the entire hostel: SEK 34 900, all 88 beds. Wedding package: SEK 1095. Bridal toast with sparkling and two canapés, three course dinner and late snack and breakfast the following day. Dinner can be served in the old boathouse or in the hostel. During our high season for weddings we only do it this way. That period is May – mid June and mid August-end of September. During the summer, the hostel can not be rented for weddings. Then you bring food and drink and arrange everything conveniently in the hostel. This is possible between 1 October and 15 April. 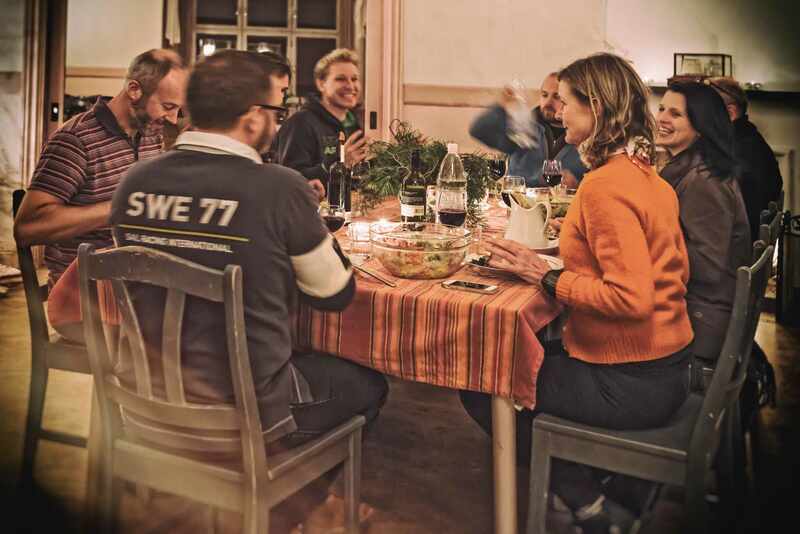 We arrange dinner at Sliphuset or at the hostel and you will fix the party and the bar in the hostel. When the big day comes closer, one should sometimes celebrate properly. At Finnhamn we are used to arranging parties and dinners for the 20-year-old as well as the 70-year-old. Perhaps you are a group of friends who want to have a party, or you have your wedding anniversary? Nothing is impossible and everything can be solved. We tailor every celebration and anniversary. But often it is the same set-up as weddings. Mr. Rönnström’s old boathouse is a magical place for a wedding dinner. A rustic archipelago venue that is over 100 years old, where the sunset is radiating through the 5m high gates throughout the dinner. The old boathouse takes up to 130 sitting guests. If you are a larger group, you can also rent one or two of our large tents. Together, the tents provide a floor area of 256 sqm and can accommodate 200 seated guests. We have several places on the island that the tent can be set up. The after party is usually in the hostel’s two dining rooms. During the colder seasons you can also have dinner here. The dining rooms can accommodate about 100 people.